come with a city bus, a newsstand and a bus stop. 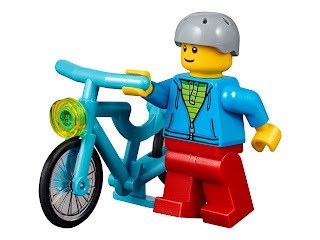 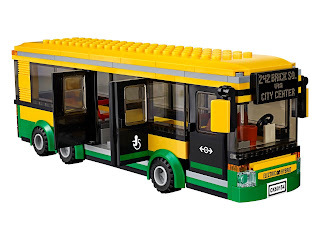 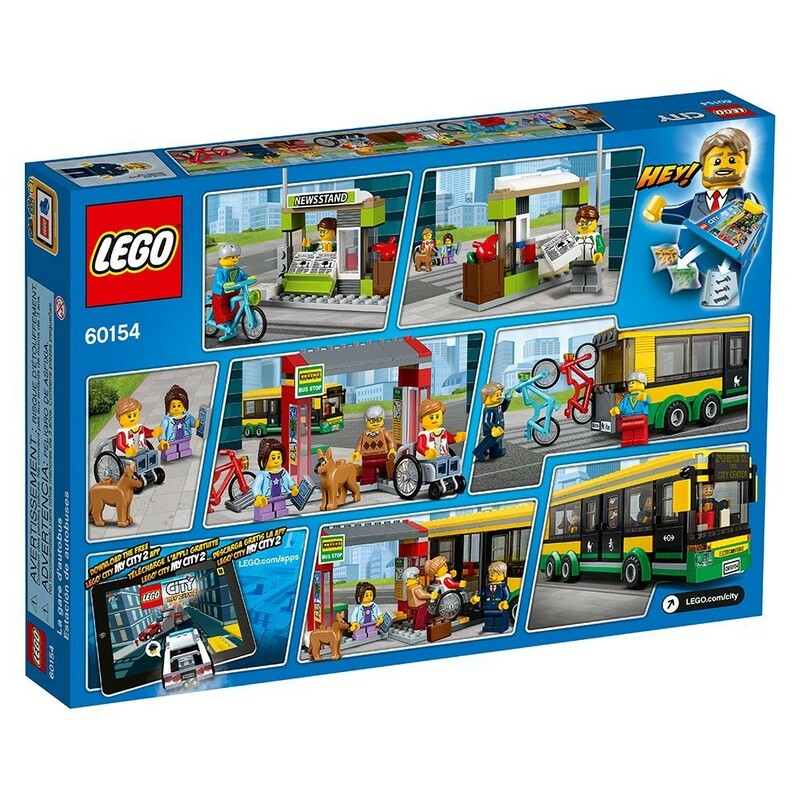 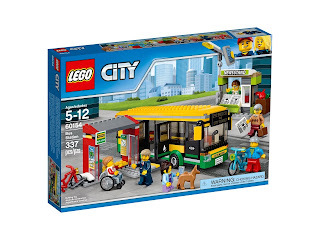 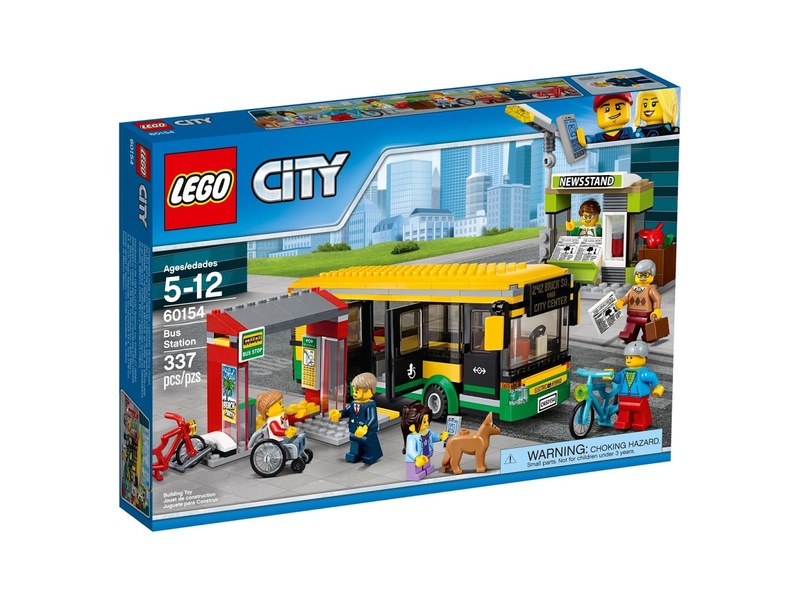 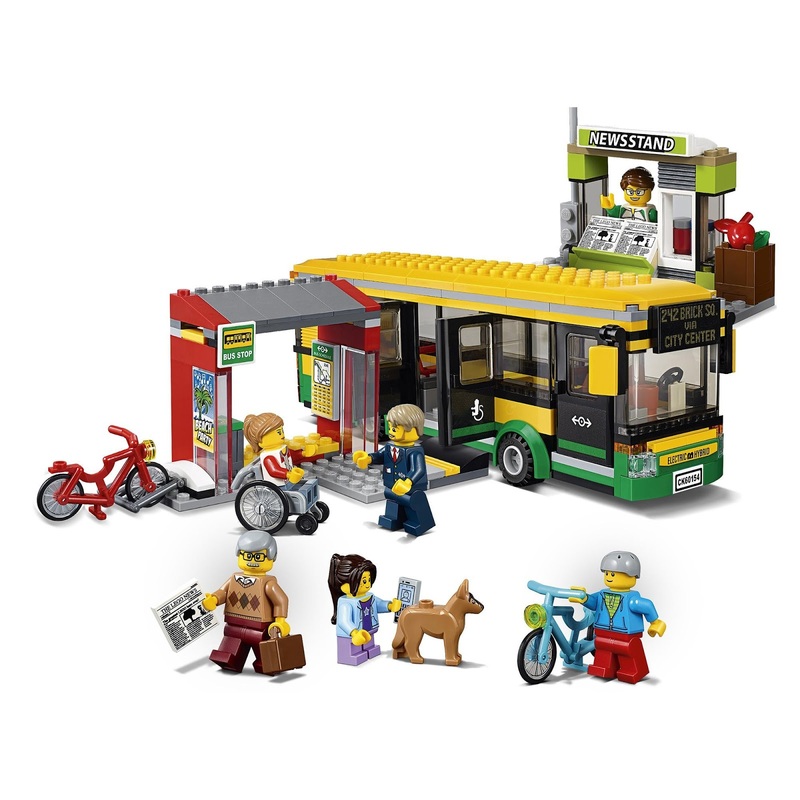 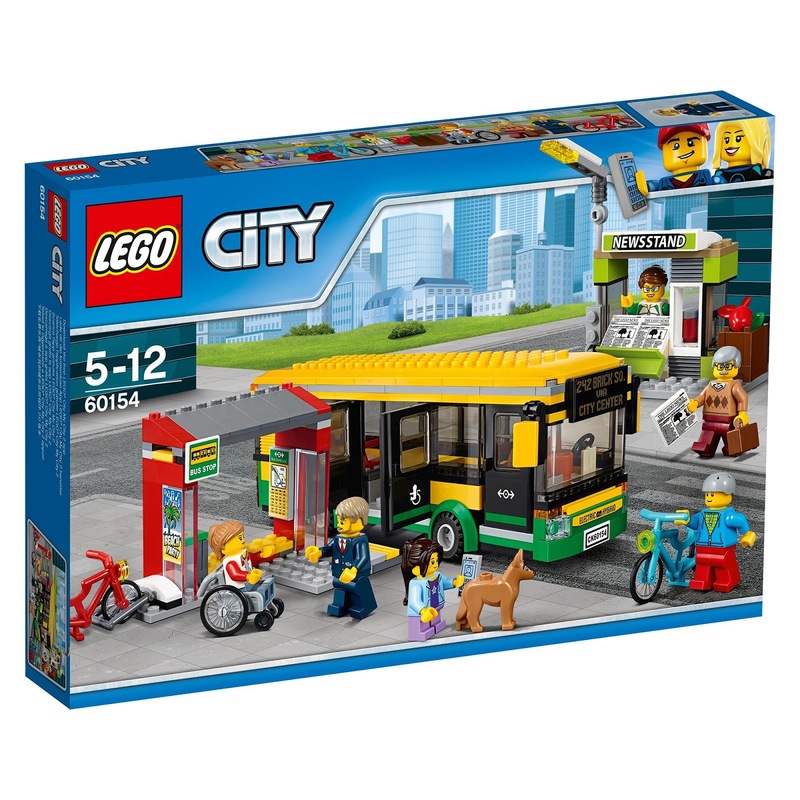 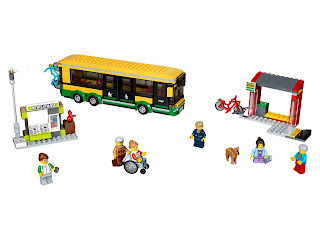 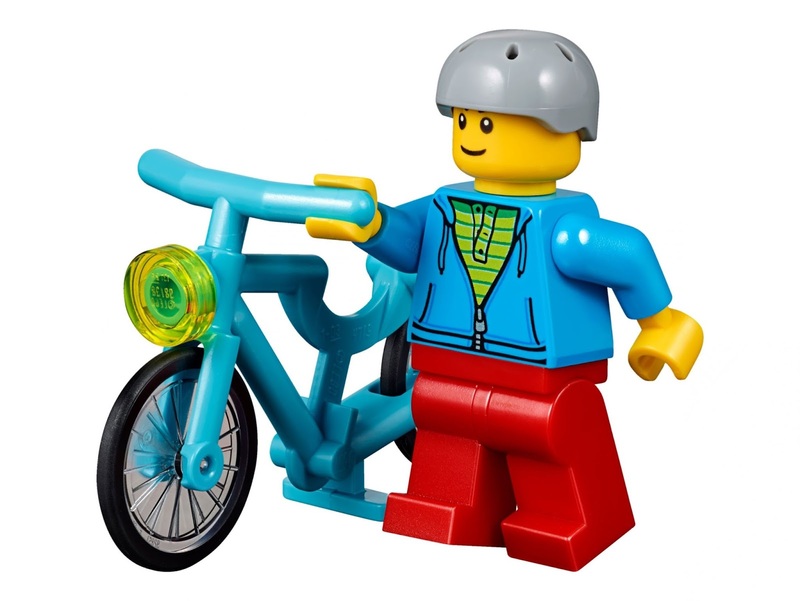 the bus has openable side and front doors, a rear bike rack for 2 bikes and space for 4 minifigs including a wheelchair passenger. 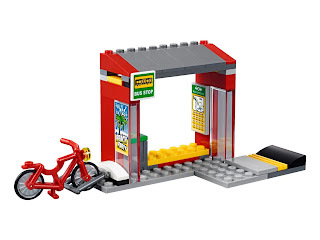 the bus stop has a waiting area, a bike stand, a trash can, a ramp for a wheelchair and a buildable streetlight. 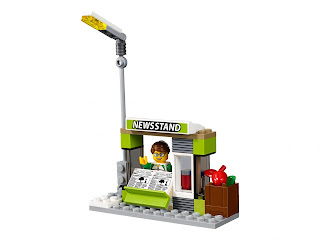 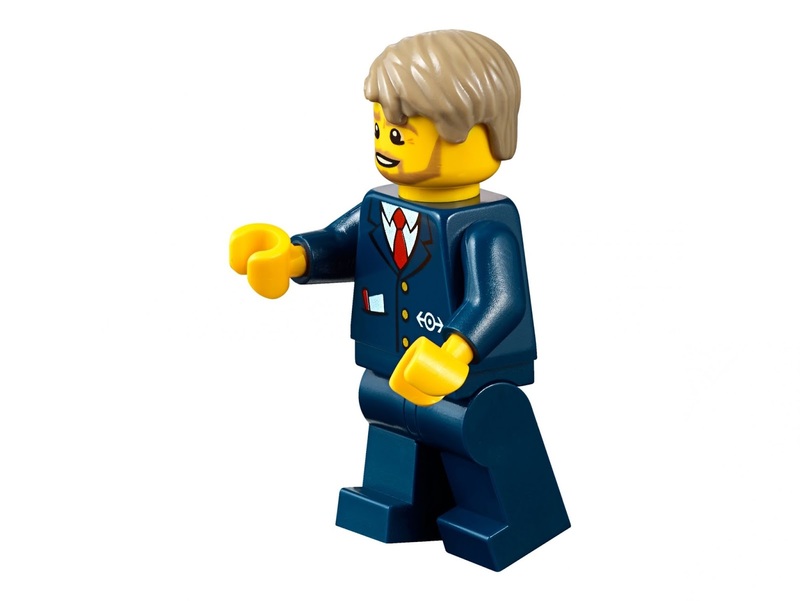 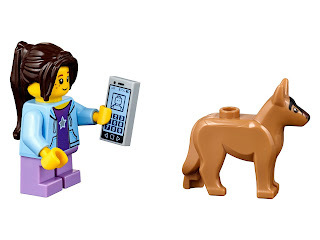 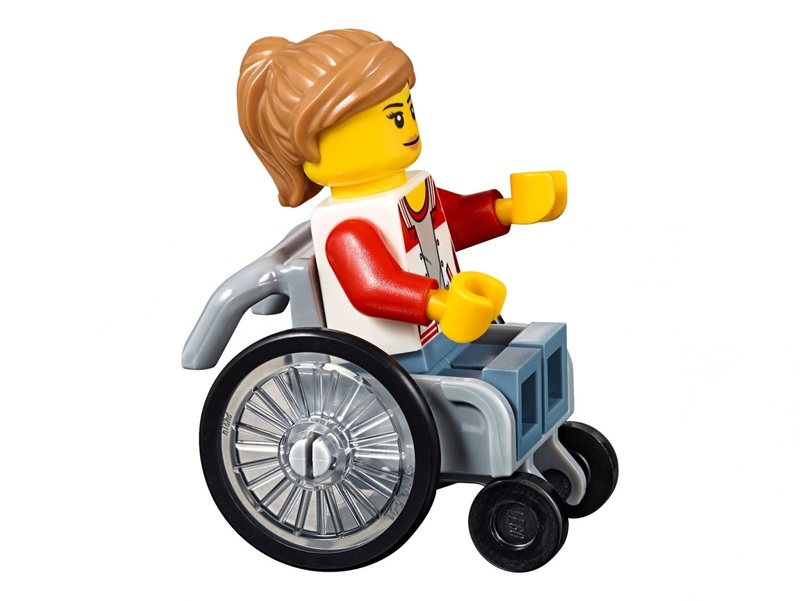 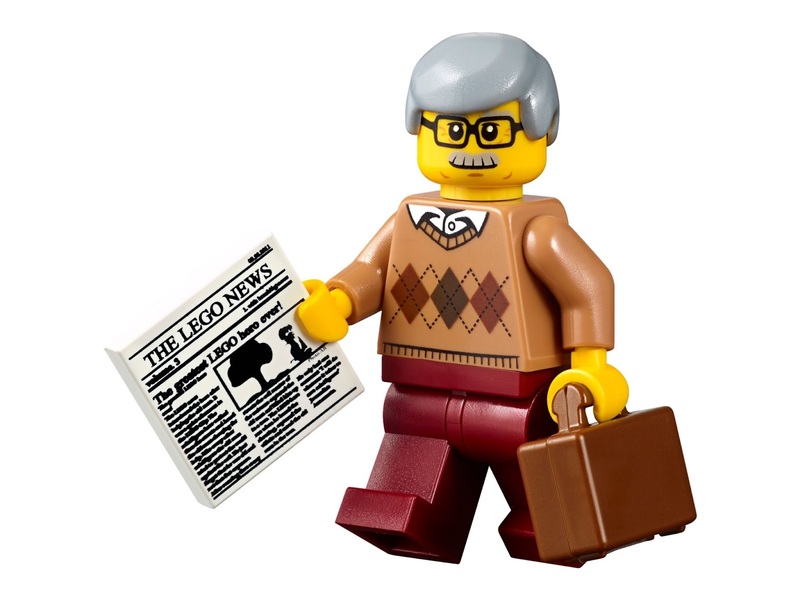 minifigs included a driver minifig, 2 passenger minifigs, a newsstand staff minifig, a newsstand customer minifig and a disabled minifig.